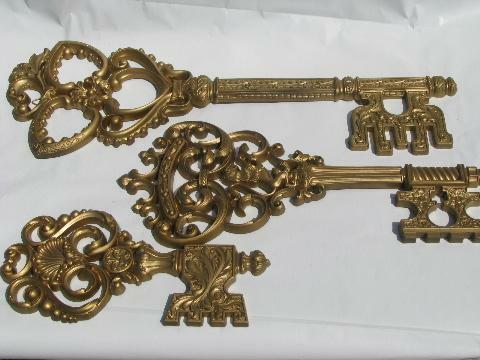 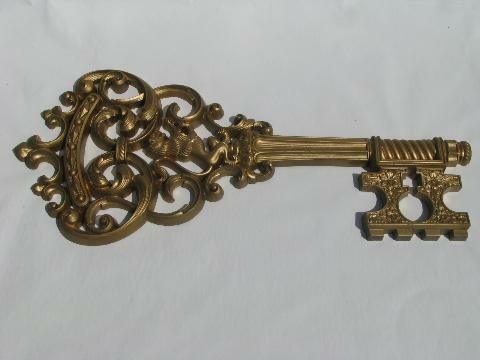 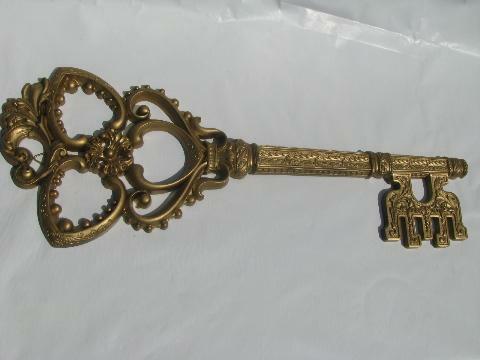 Three large keys to hang on the wall, 12" to 23 2/4" long. 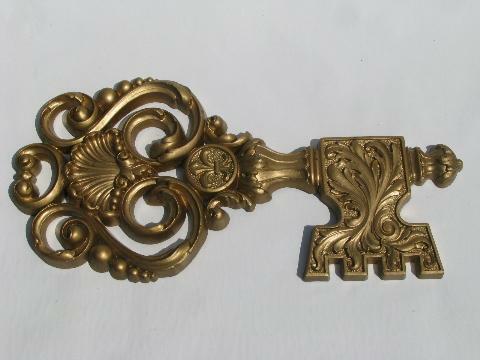 These are gold rococo plastic (Syroco or Burwood type), marked Dart. 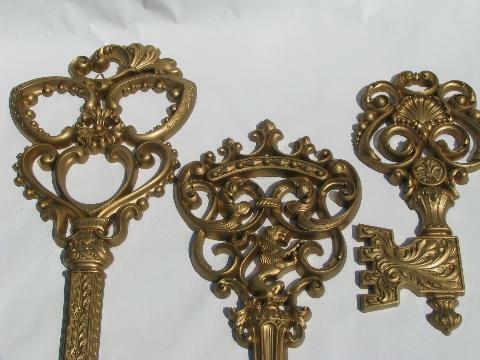 All look good with very little wear to the gold, and make a great grouping however you arrange them!